Many, including me, are not great fan of Touchwiz user interface and either like using stock Honeycomb interface or third party shell (like SPB Mobile Shell 3D). 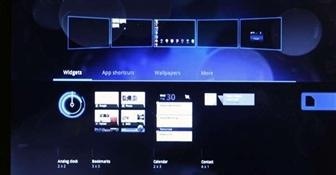 A user at xda-devs has come up with a ROM called "Task Phantom" that lets you enjoy vanilla Android Honeycomb experience. The ROM also comes with Bonsai Kernel that lets you overclock your Galaxy Tab 10.1 to 1.4GHz and lots of other goodies and tweaks to make the overall user experience much better. Download the ROM from here. Make sure to back up your data as installing new ROM factory resets your Tab. Also check out – how to use Tab 10.1 as USB flash storage.